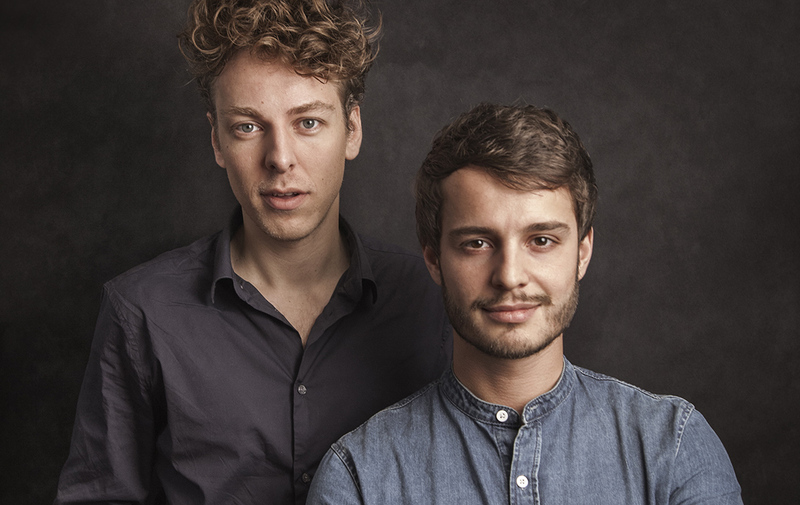 Multi talents Reinier Baas (30, guitar) and Ben van Gelder (27, alto saxophone) have a lot in common: they both come from a very musical family, they graduated the Amsterdam conservatory with an A+, both studied in New York (Ben van Gelder also lives there nowadays!) and apart from being musicians, they’re also composers and bandleaders. In the last couple of years, Baas and van Gelder did many shows together. Over 150! This intense cooperation is now being rewarded with two concerts including the whole Metropole Orkest, conducted by Christian Elsässer. Both evenings promiss to be surprising and include lots of variations in terms of music and the formation on stage. Reinier Baas is seen as one of the most important persons of a new generation jazz musicians. As the bandleader of ‘The More Socially Relevant Jazz Music Ensemble’ he toured in Japan, New Zealand and Australia. Their second album was awarded with an Edison in 2013. With his septet ‘Smooth Jazz Apocalypse’ he searches for “a way to melt indie, modern classical music and improvisation”. The compositions vary from “subtle and thoughtful to hysterical and extremely danceable”. In 2015 Reinier Baas was asked by the North Sea Jazz Festival to do a free composition assignment. Dutch newspaper NRC named it as “one of the highlights” of the festival. Ben van Gelder is an authority on the alto saxophone and a composer with a contemporary view. His music is rooted in tradition but is distinguished by a unique blend of “lyricism, energy, grace and rhythm.” His albums ‘Frame of Reference’ and ‘Reprise’ were admired by the Dutch press. The album ‘Reprise’ was named as ‘best jazz album of the year’ by de Volkskrant. He won various awards, such as a Deloitte Jazz Award and recently he won a coveted composition assignment of the Jazz Gallery in New York. Conductor, composer, bandleader and pianist Christian Elsässer (32) began his Metropole-career as a participant of the Arrangers Workshop 2012 with Kurt Elling as a soloist. Meanwhile, he’s been very busy we may say. He won an ECHO Jazz award, has founded his own Christian Elsässer Jazz Orchestra and in April 2015 he released the album ‘Flying in Circles’ with the NDR Bigband. He wrote several arrangements for the MO ever since the Arrangers Workshop. For the Baas & van Gelder concerts he signed off for some arrangements as well and on this occassion he will be conducting them too!